SURPRISE! Obama’s Cushy Pension Gets Makeunder From GOP – Potentially Saves Taxpayers MILLIONS! Looks like Barack Obama is going to have to live with yet another disappointment. He vetoed legislation in 2015 that would have reduced the salary of former presidents. But last week a Senate committee approved a bill doing just that. 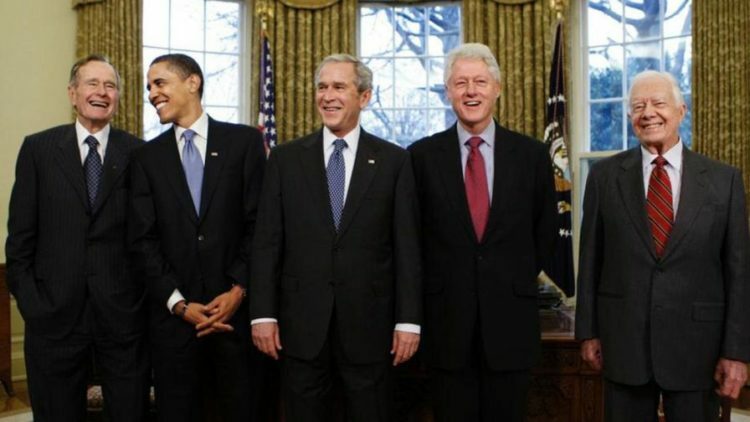 It’s called the Former Presidents Act and it would reduce just how much former presidents receive in pension benefits. It also reduces the total amount of money taxpayers contribute to former presidents. “Our national debt now exceeds $20 trillion; this bipartisan effort is another important step toward reigning in Washington’s out-of-control spending,” Iowa Republican Sen. Joni Ernst, sponsor of the Senate legislation, said in a statement. “It is ridiculous to continue asking taxpayers to help foot the bill for former presidents’ perks at a time when they already rake in millions of dollars from book deals, speaking engagements, and more.” Amen to that. The bill was unanimously approved by the Senate Committee on Homeland Security and Governmental Affairs. Now it goes to the Senate for a full vote. The House is set to consider a companion bill, proposed by Georgia Republican Rep. Jody Hice. I imagine this really ticks off Obama and Clinton. The Bush family is well off and won’t be bothered one way or the other over this. 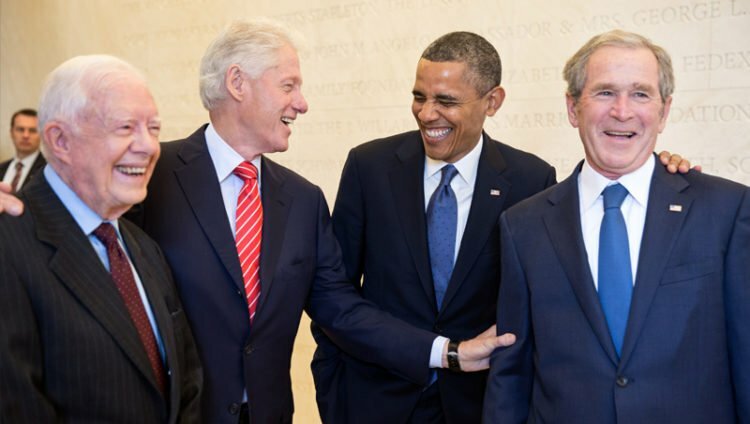 Former presidents receive a $207,000 salary annually. Ernst’s proposal would cap stipends at $200,000 per year, adjusted each year for cost of living increases. The bill would not affect the security of former presidents. In the 2017 fiscal year, the five living former presidents cost taxpayers $2.8 billion for salary, security, staff and other perks of office, according to a Congressional Research Service report. Another part of the bill will directly affect former presidents and their additional income streams. For every dollar a former president makes above $400,000 from speaking engagements or other post-presidential work, the annuity would be reduced by $1 in the Senate proposal. That means for instance, Obama’s speech for $400,000 to Wall Street would reduce his annual annuity by that much. Of course, Obama claimed something like this would remove staffers from their jobs assisting former presidents. Our hearts are breaking… not. These men have made millions. They don’t need a never ending salary that the taxpayers have to pay and they don’t need a pension either. I think this is a fantastic move and long overdue. The days of serving a term or two in office and getting paid exorbitant amounts for the rest of your life should end. It was never the way it was supposed to be from the beginning. This was something the Founding Fathers never, ever intended.